Orestone Manor is a place to relax. We provide comfort, great service, and fine food, in an atmosphere of peace and tranquility. Our bar and restaurant are popular with locals as well as residents, and have a warm buzz to them most evenings, without ever being boisterous. If you want to while away the day with something a little more than a book, we have a good selection of board games and playing cards for residents to borrow. There are lots of interesting things to see and do in the local area. 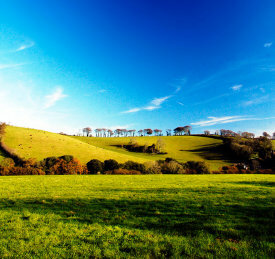 Our team will be happy to make suggestions, and we have added a selection of Devon's delights on this page. If you would like to arrange a guided tour around attractions and locations nearby, we have a fantastic local tour guide Alex Graeme, who can offer a range of regular tours or a completely bespoke tour just for you. Just contact Alex to discuss your requirements - you can find his website here. Newton Abbot racecourse is situated only 10-15 mins from the hotel, and provides an exciting day out watching National Hunt racing ("the jumps") in a relaxed and fun environment. The Round Robin steam train and boat trip is an excellent way to see the area in the summer and runs on bus, steam train and boat through Paignton, Kingswear, Dartmouth and Paignton.